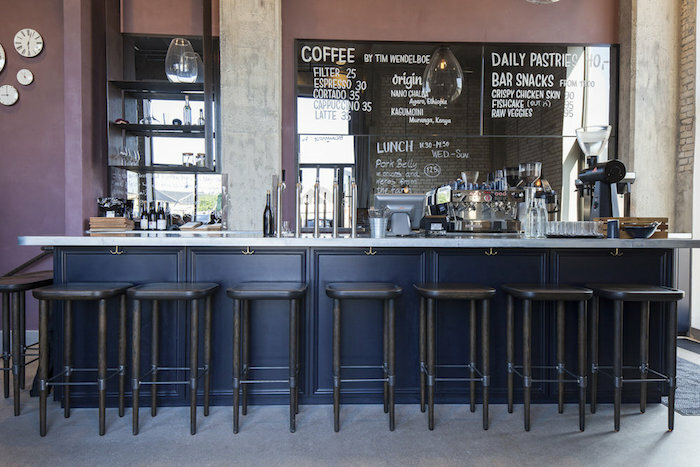 Exciting news for food lovers! 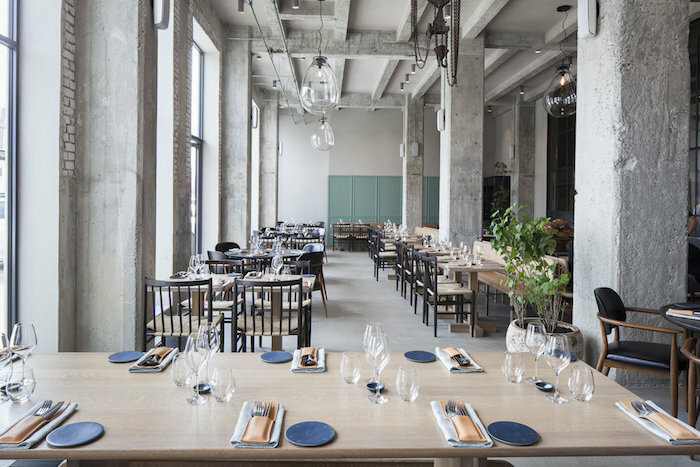 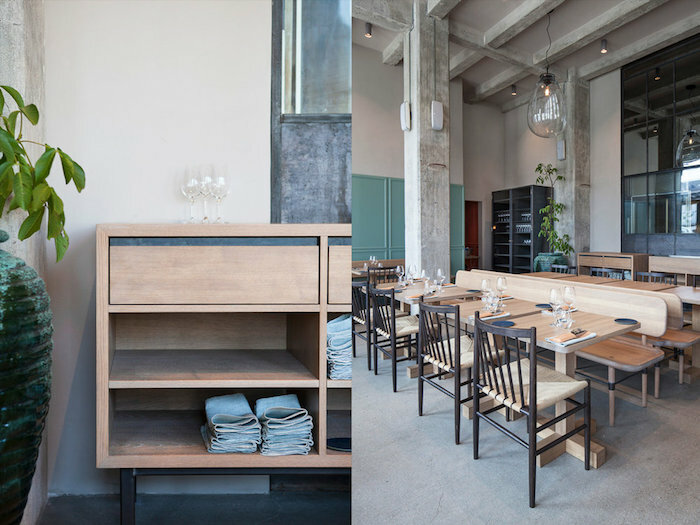 Danish restaurant Noma, the four-time winner of the World’s 50 Best Restaurants award, has opened it’s little sibling, restaurant 108 in Christianshavn, Copenhagen. 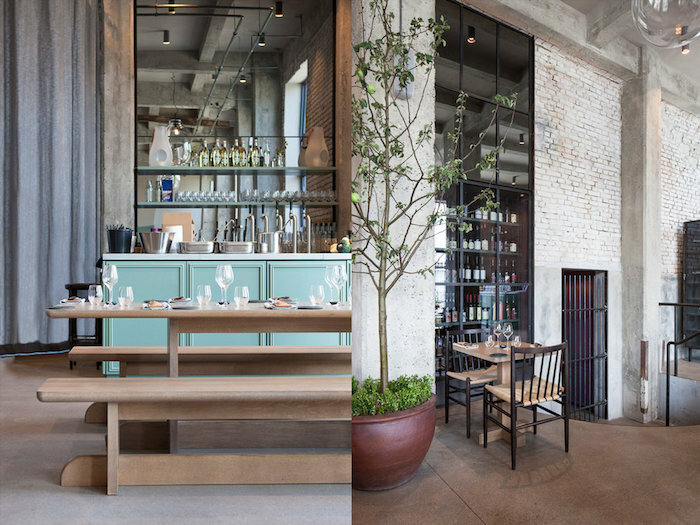 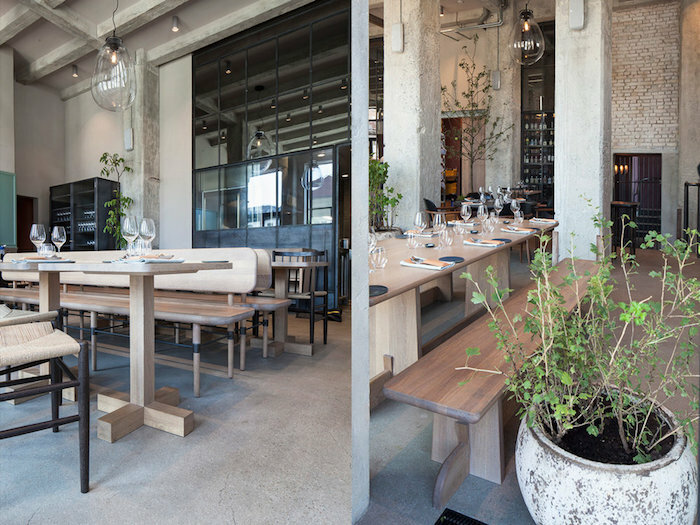 The restaurant is designed by Space Copenhagen. 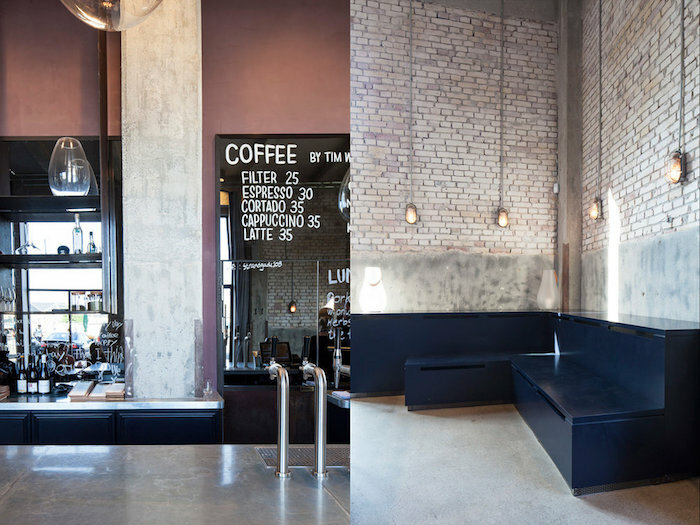 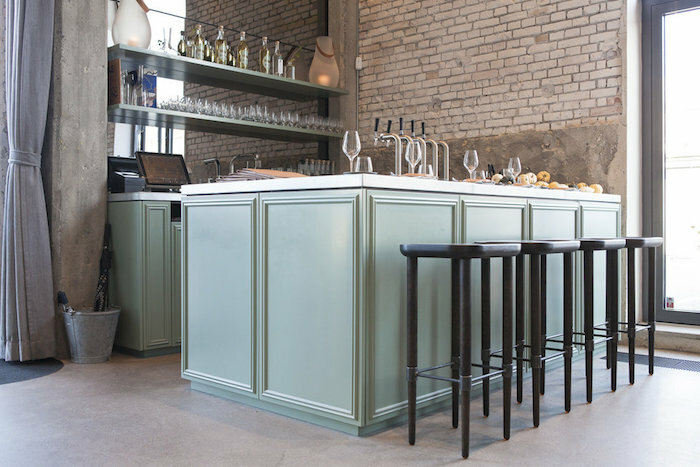 The interior is cool and stylish, with custom-made bar-stools, benches and tables, crafted by cabinetmakers in Malte Gormsen. 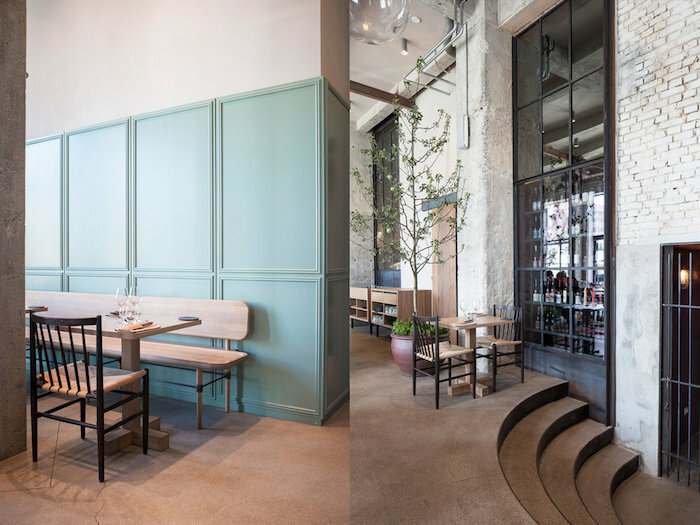 The beautiful combination of wood, leather and green wall panels bring interest and warmth to the otherwise industrial atmosphere. 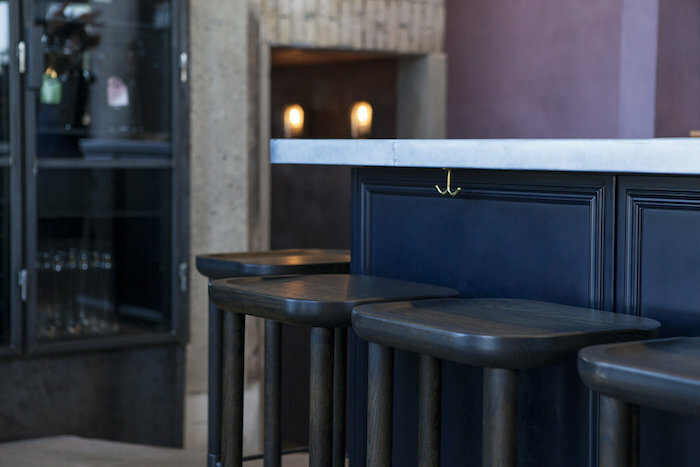 I’m a fan of the bar area, with its darker tones. 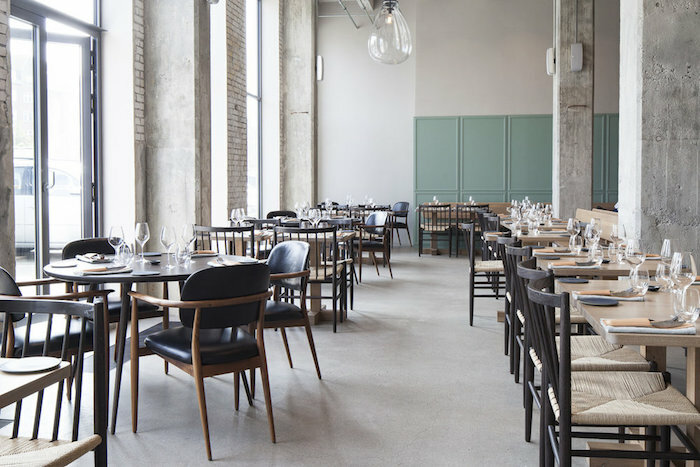 Following Noma’s main concept, but with a more casual feel and affordable price tag, Restaurant 108 serves seasonal food in collaboration with regional farmers, in an effort to better understand the ingredients and to keep exploring the region’s cooking. 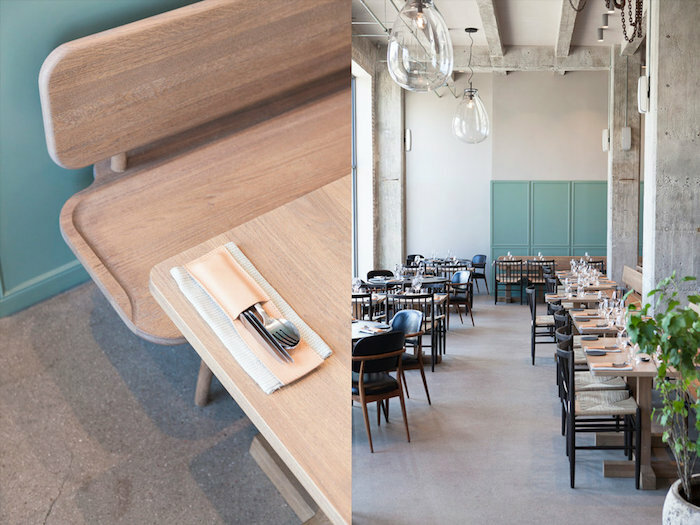 The menu is adventurous yet simple, with seven main dishes and three desserts to pick from – A true work of art from chef Kristian Baumann. 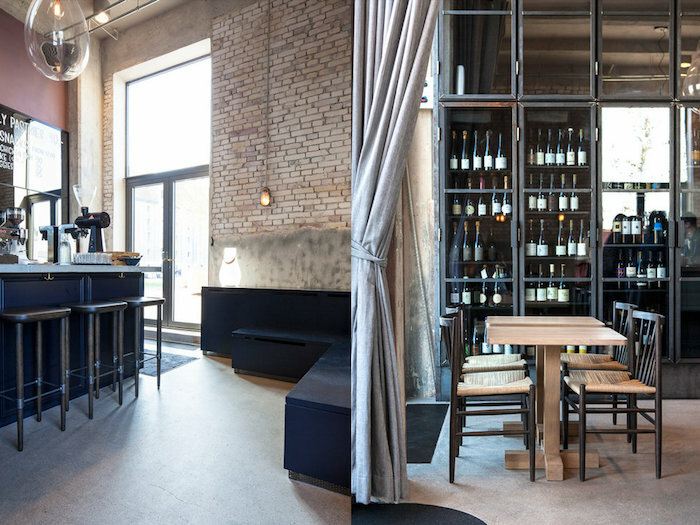 108 is a laid-back, unpretentious newcomer in the Nordic restaurant scene that is surely worth a try!